THANK YOU TO THE EAGLE RIDERS, F.O.E. AUXILIARY #4379 and F.O.E. AERIE #4379! 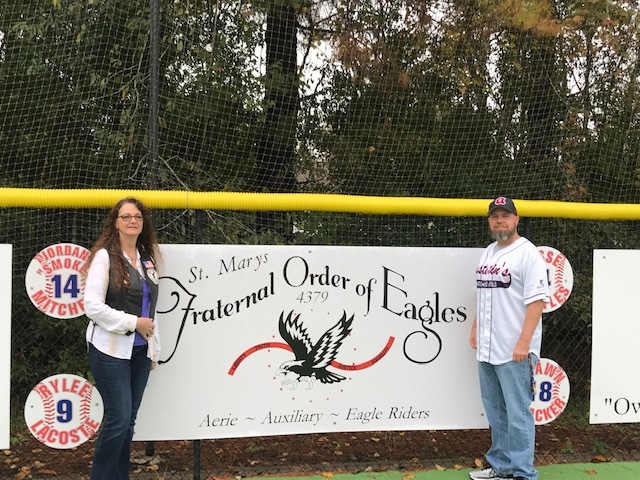 Please join us in thanking the Eagle Riders, Fraternal Order of Eagles Auxilary #4379 and F.O.E. Aerie #4379 for renewing their annual sponsorship of JMF! We can’t thank you enough for your continued support! We can continue to round the bases because you believe in our program! THANK YOU!